A couple of years ago, a beekeeper friend of mine recommended the book Garden Plants for Honey Bees (Wicwas Press, 2014) by Dr. Peter Lindtner. I spent an appreciable amount of time with the book. In fact, I couldn’t put it down. No, it’s not your average garden book: no prose, no unrealistic pictures, and certainly no misinformation. It was all about bees and the amount of pollen and nectar they obtain from various plants. The book is an index of a study Peter Lindtner performed at Longwood Gardens in Kennett Square, PA. In short, using an electron microscope, Dr. Lindtner measured the amount of pollen and nectar honey bees collected from specific plants while foraging then ranked the pollen and nectar value from each flower. Nature made it easy for this research. 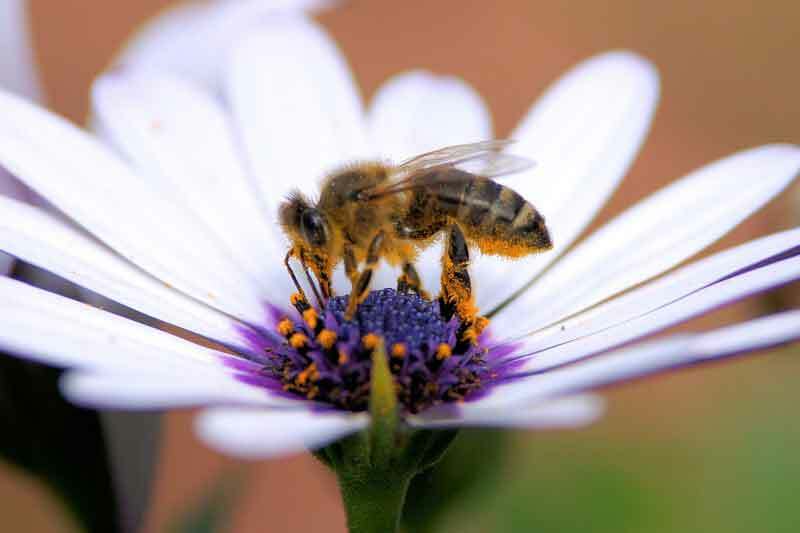 Did you know honey bees forage in flower sweeps, each trip visiting one flower type? This is one of the reasons to design floral beds with a single species, in blocks of three to four feet square. And what you will soon learn is, not all flowers are created equal. In reading this book, I quickly saw its importance, but there are a few caveats. None of these take away from the book; the caveats only help the Triangle area make it more applicable to us. The book is indexed by scientific name only, not common name. Unless you are fluent in botanical Latin, you’ll need to recognize the plants by the pictures. The pollen and nectar study was by month. This makes sense if you are trying to provide plants to cover most of the year. For the Triangle area, we need to adjust by about two weeks. If it’s blooming in Pennsylvania in March, we are likely to see it in February. The ranking is zero to five, but these aren’t evenly distributed. For example, there is only one plant ranked zero for pollen and zero for nectar, and one plant ranked five for both. I often muse the scale should have been logarithmic since a two or three ranking is a very worthy plant. By the way, forsythia is ranked zero for both pollen and nectar, and the bee bee tree, also known as Korean evodia (Evodia daniellii syn. Tetradium daniellii) is ranked five for both; but it’s very invasive for us. We don’t want this tree in our garden. Here are the book’s top three pollen choices of trees, shrubs, perennials, and annuals. Keep in mind, just as some honey bees aren’t native to the U.S., neither are the vast majority of the highest-ranking pollen and nectar plants. For a complete listing of Dr. Lindtner’s findings, go to beebetter.info and click on the right-hand side resource guide for bees.